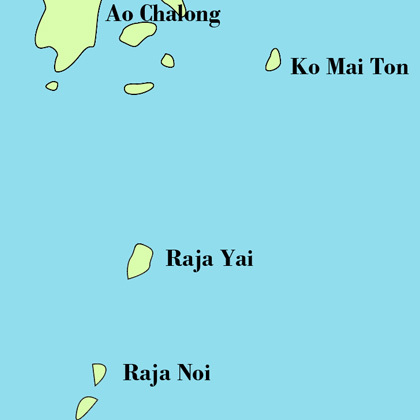 Maiton Island (sometimes written as Maithon or Mai Ton) is a beautiful tropical island just off Phuket’s east coast. Just 2.5 km across at its widest point, it is ringed by beautiful golden sands and nodding palm trees swaying in the breeze, as well as crystal-clear waters and vibrant coral reefs. Since the island is privately owned, access to it is extremely limited. This does, however, mean that those who can get there will enjoy breathtaking natural beauty, entirely unspoilt by mass tourism.